Game publisher Activision-Blizzard will lay off 8 percent of its work force, or around 775 people, CEO Bobby Kotick announced on the company’s earnings call today. The move is being made in an effort at “de-prioritizing initiatives that are not meeting expectations and reducing certain non-development and administrative-related costs across the business,” Kotick explained. The implication is that the positive results reported came thanks to a fairly narrow bench of franchises, with many of the company’s efforts outside those franchises not meeting expectations. It’s also worth noting that Destiny developer Bungie ended its relationship with Activision. While Destiny 2 did not perform up to expectations, that move likely left many in marketing and other areas at Activision without a major franchise to work on. This followed the decline of the highly lucrative Skylanders and Guitar Hero franchises as well. According to Kotaku, the letter also indicated that those being let go would receive a comprehensive severance package, continuing health benefits, and career placement assistance, though it is not clear how robust these offerings will be. In a more public note on Blizzard’s website, Brack said Blizzard plans to add development resources through the year and that it will continue to focus heavily on Overwatch League, its biggest esports brand. 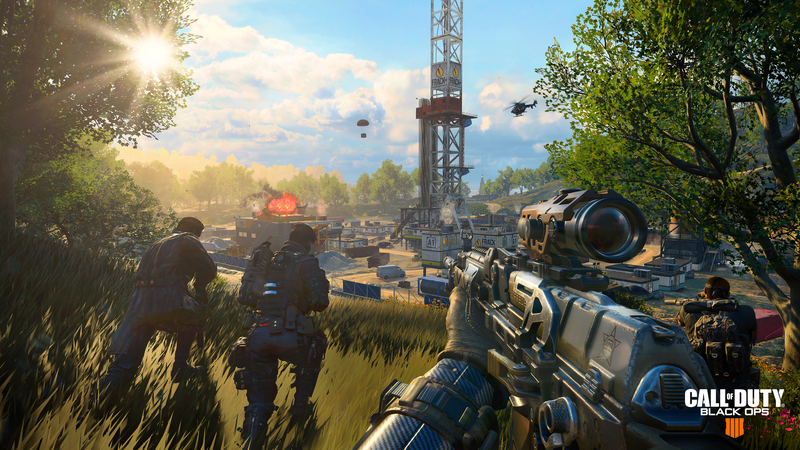 The Call of Duty franchise is as strong as it has been in a while; Black Ops IIII received favorable reviews, and its battle royale mode Blackout has proven popular. But it’s notable that the majority of the franchises Kotick said the company plans to focus on are under the Blizzard umbrella, not Activision.